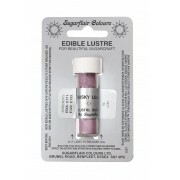 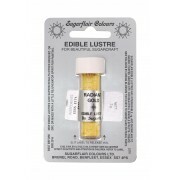 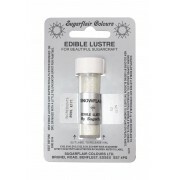 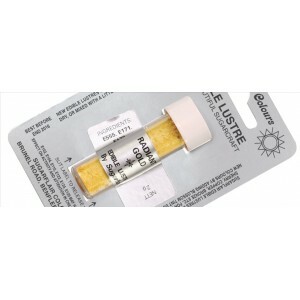 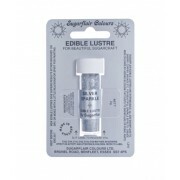 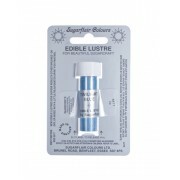 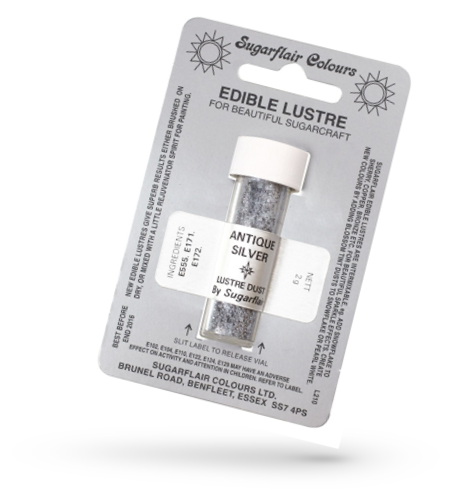 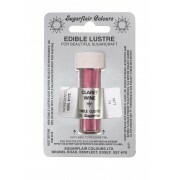 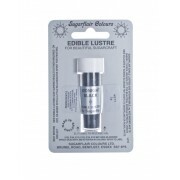 We have a wide range of edible lustre and shimmers for you to use. These colourings are popular cake ingredients as they can quickly be used to transform the colour of your cake. These are lustrous powders which can be brushed onto sugar work, or mixed with Rejuvenator Spirit or Confectioners Glaze for painting. Sugarflair Antique Gold Edible Lustre Colour is a sparkly lustrous powder which can be brushed onto ..
Sugarflair Antique Silver Edible Lustre Colour is a sparkly lustrous powder which can be brushed ont..
Sugarflair Bronze Splendour Edible Lustre Colour is a sparkly lustrous powder which can be brushed o..
Sugarflair Claret Wine Edible Lustre Colour is a sparkly lustrous powder which can be brushed onto s..
Sugarflair Copper Sheen Edible Lustre Colour is a sparkly lustrous powder which can be brushed onto ..
Sugarflair Dusky Lilac Edible Lustre Colour is a sparkly lustrous powder which can be brushed onto s..
Sugarflair Frosty Holly Edible Lustre Colour is a sparkly lustrous powder which can be brushed onto ..
Sugarflair Glazier Blue Edible Lustre Colour is a sparkly lustrous powder which can be brushed onto ..
Sugarflair Gold Sparkle Edible Lustre Colour is a sparkly lustrous powder which can be brushed onto ..
Sugarflair Lemon Ice Edible Lustre Colour is a sparkly lustrous powder which can be brushed onto sug..
Sugarflair Midnight Black Edible Lustre Colour is a sparkly lustrous powder which can be brushed ont..
Sugarflair Pastel Gold Edible Lustre Colour is a sparkly lustrous powder which can be brushed onto s..
Sugarflair Pearl Ivory Edible Lustre Colour is a sparkly lustrous powder which can be brushed onto s..
Sugarflair Radient Gold Edible Lustre Colour is a sparkly lustrous powder which can be brushed ..
Sugarflair Red Sparkle Edible Lustre Colour is a sparkly lustrous powder which can be brushed onto s..
Sugarflair Royal Gold Edible Lustre Colour is a sparkly lustrous powder which can be brushed onto su..
Sugarflair Satin Silver Edible Lustre Colour is a sparkly lustrous powder which can be brushed onto ..
Sugarflair Sherry Edible Lustre Colour is a sparkly lustrous powder which can be brushed onto sugarw..
Sugarflair Shimmer Pink Edible Lustre Colour is a sparkly lustrous powder which can be brushed onto ..
Sugarflair Silky Peach Edible Lustre Colour is a sparkly lustrous powder which can be brushed onto s..
Sugarflair Silver Sparkle Edible Lustre Colour is a sparkly lustrous powder which can be brushed ont..
Sugarflair Snowflake Edible Lustre Colour is a sparkly lustrous powder which can be brushed onto sug..
Sugarflair Twlight Blue Edible Lustre Colour is a sparkly lustrous powder which can be brushed onto ..
Sugarflair White Edible Lustre Colour is a sparkly lustrous powder which can be brushed onto sugarwo..